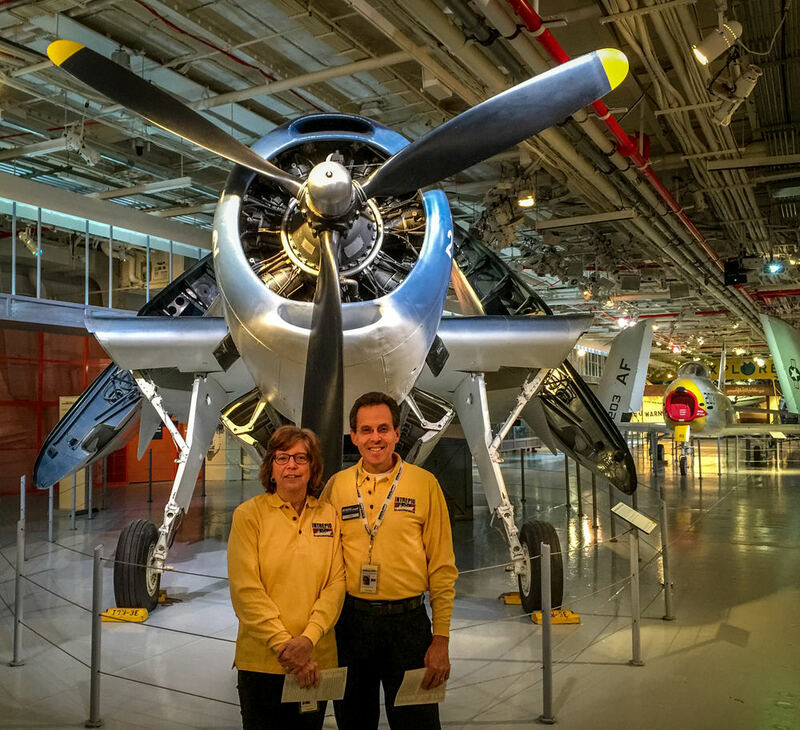 For the last few months Ellen and I have been volunteering once a week at the Intrepid Sea, Air & Space Museum at Pier 86 in Manhattan. After 33 years of advising people about income taxes and finance, now I tell them instead about incredible machines and the history made in them by brave men. And the people I have met! There was the modest elderly silver-haired attorney who in a very soft voice told me the story of his Special Forces camp being overrun by Viet Cong one night when he only had a pump shotgun to defend himself. "They overran us in a determined way," he said. The young Coast Guardsman from Maine who told me about the inertial navigation system of the submarine we were standing in (yes, he was explaining it to me). I thought his girlfriend standing next to him would be bored, but my wonderful memory is the look of adoration she was giving him as he held court in the Command & Attack Center of our submarine. Once I was letting a little seven year old boy turn the heavy wheel in the bridge of our aircraft carrier. I asked him where he was from and he told me, Vanuatu! There was a Saudi Arabian Air Force pilot who I was showing the Intrepid's optical landing system. He wanted to know how old I thought he was. I guessed low and he turned to his wife, beaming, and told her proudly in Arabic how young I thought he was. I have met so many interesting people of all ages, of all types, from all over the world and exchanged stories with them. I tell them all the things I have learned about this awesome place, and they reward me with the fascination I see in their eyes, and with their own stories. I never dreamed it could be so rewarding to teach people things and learn from them, just for the pleasure of it. My days on the Intrepid and our sub, the Growler, are very fulfilling. Retirement is a time for giving and for learning.